The Rock Came to Play: It’s no secret that the larger-than-life world of Dwayne Johnson brings him from city to city, juggling the demands of an unrelenting schedule. If you follow him on social media you’re well aware that the action star seldom misses a workout. Recently, while in New York to promote SKYSCRAPER, The Rock snuck away to train at the world famous Bev Francis Powerhouse Gym, known in bodybuilding circles as The East Coast Mecca. 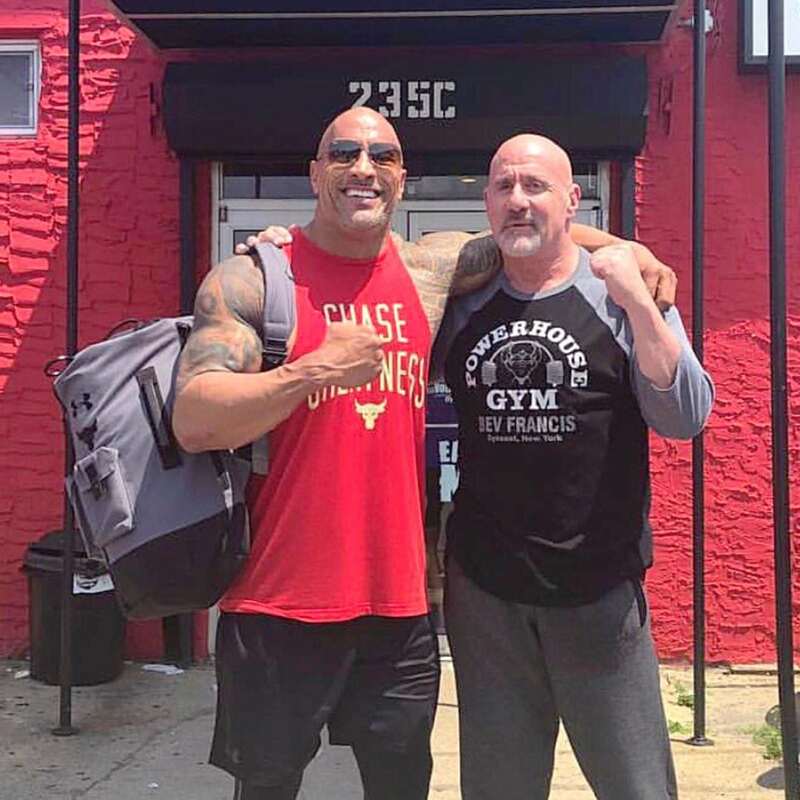 Gym owner Steve Weinberger is no stranger to welcoming big stars to his legendary Long Island facility, “Dwayne trained here for two days.” Weinberger tells Digital Muscle. “He is truly one of the nicest and most humble guys I’ve ever met.” The two men will re-connect in September during Olympia Weekend, where Weinberger serves as Head Judge. Johnson’s productions company (Seven Bucks Productions) is a promotional partner for the annual Las Vegas physique showcase. 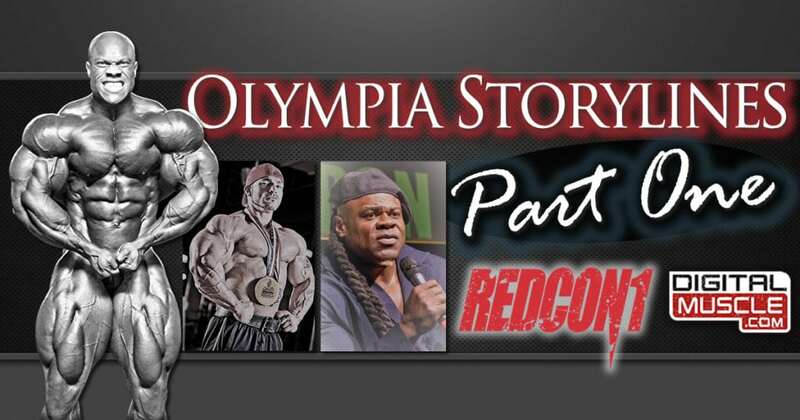 Event tickets and schedule info are available at Mr.Olympia.com. 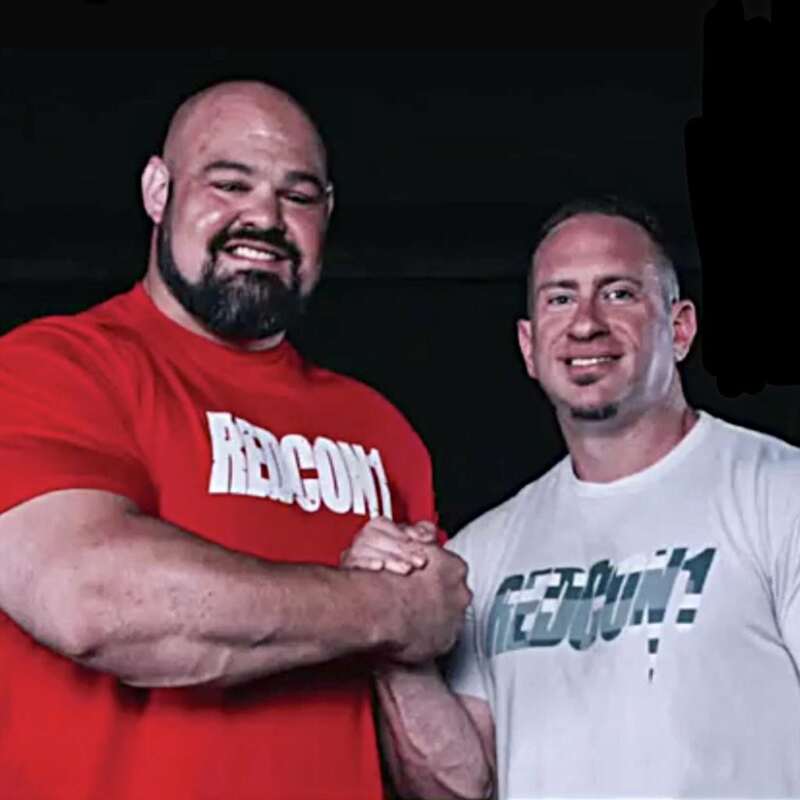 Speaking of BIG stars, our friends at RedCon1 recently announced the signing of Brian Shaw, four-time winner of The World’s Strongest Man. Honored in Chicago: Missouri based event promoter and long time NPC official Jack Titone received the Julio Del Rio Inspiration Award presented by fellow promoter Tim Gardner at last week’s Wings of Strength Chicago Pro event. 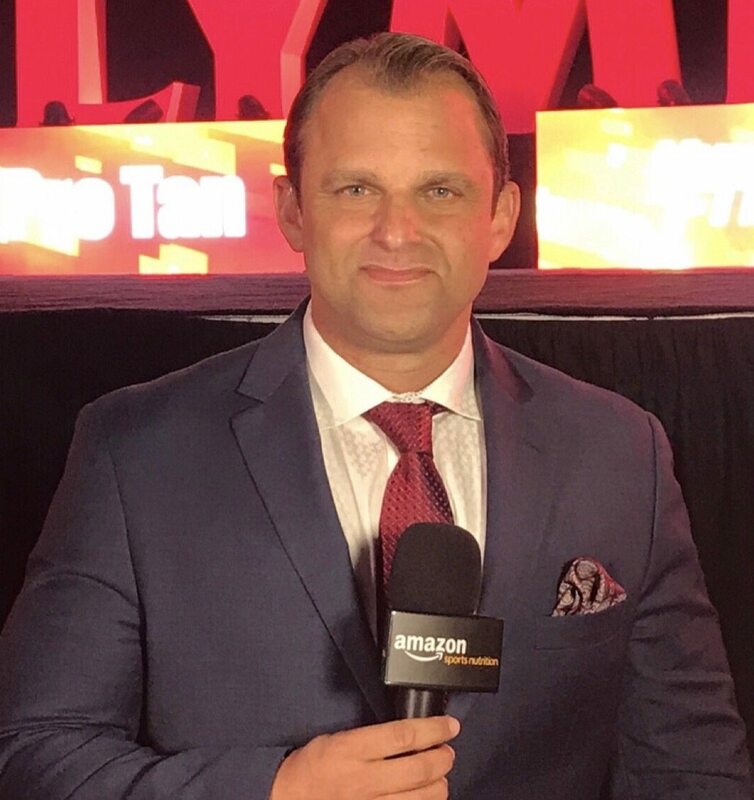 Jack Titone, whose wife Ann won her share of titles during her days as a competitor, has emerged as one of the hardest working guys in the business. Upon receiving the award, he commented, “I am honored and humbled. I’m not sure I warrant it, but I do appreciate the recognition.” Keep up with all of their events at www.NPCMidwest.com. In other news, during my recent road trip to Cape Coral, Florida, I stopped in for a visit with my old friend and fellow media maven Dave Palumbo. Not surprisingly, Dave had his cameras rolling and was eager to talk bodybuilding. 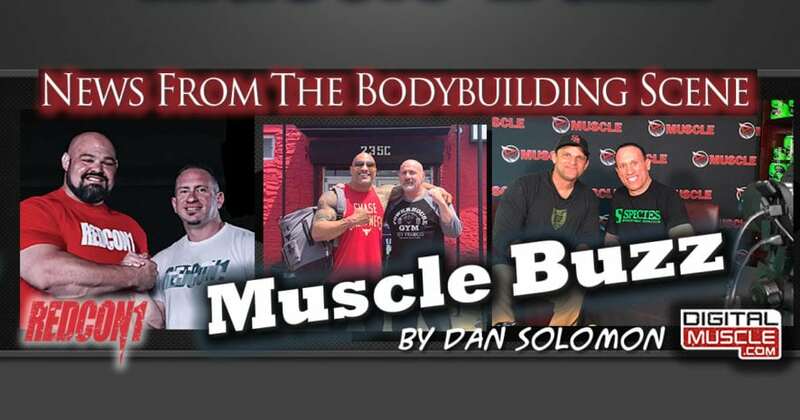 Palumbo has spent decades earning a reputation as a fearless and often controversial member of the bodybuilding media scene, but the 2018 version of Palumbo has him settled into life as a husband and a father of two. You can check out Part 1 of our conversation here. – Until next time, keep those emails coming. Send all content feedback and advertising inquiries to media@DigitalMuscle.com.